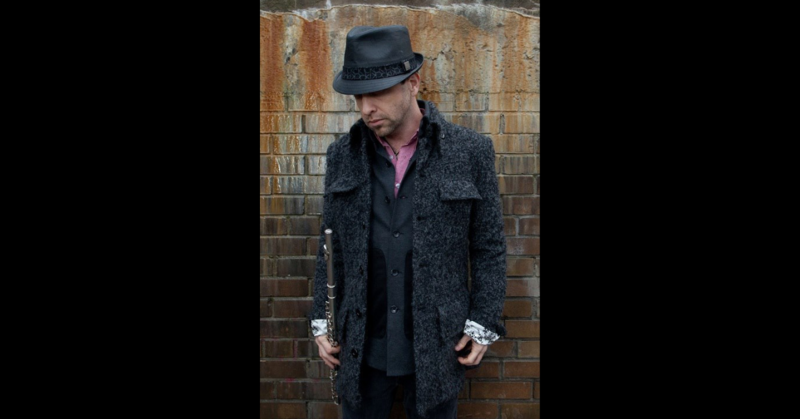 R&B flautist Jef Kearns is out to show you exactly how the flute should be used in an R&B format. Jef is not a stranger to soul, hip hop or R&B. Imagine my surprise when I heard his cover of Soulja Boy’s “Turn My Swag on” – yes, he went and done did that. Surprised? You shouldn’t be. Jef has been reared on the above-mentioned genres of music since he was 10 years old. So it’s only natural that he has decided to jump in head first, with his flute in hand, to let you know that this is not a game and he’s ready to bring a little Soulfistication into your life. Jef’s first album On The Level was a Soultracks favourite in 2009, and now his recent single “Play On” from the upcoming album, has already reached #7 on Amazon Japan R&B/Soul. And his original hip hop instrumental performance was chosen as the Top 20 YouTube auditions out of over 3700 submissions on Canada’s Got Talent. Not too shabby at all there, Jef. At this time, Jef is requesting your assistance through his Indiegogo campaign. He is looking for contributions to be made that will go towards finishing the Soulfistication project. There are perks from $1 to $2000 ranging in everything from song dedications to executive producer status. Jef also has quite a few notable people behind the scenes with him, putting the album together. If you want to find out who, then head on over to his Indiegogo campaign page to find out! Every little bit helps!